Joe Dever’s best-selling fantasy gamebook series Lone Wolf New Order in a digitized format for mobile devices. Now ready to be played on Android! Assume the role of a warrior of the Kai Order and shape your own story. Play in a modern user interface without the need for a pencil and paper. 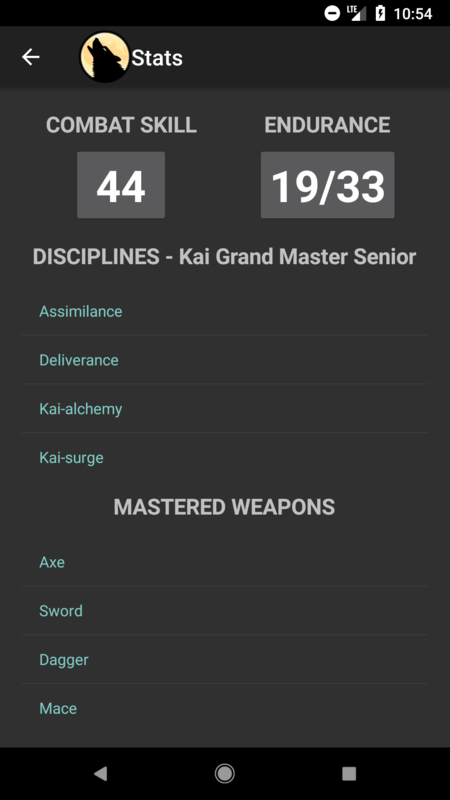 This app takes care of everything relating to the rules, from combat to inventory management. You can just jump right into to the game! For $0.99 you can purchase a save slot that will let you save during the adventure. Choose carefully from the many available Kai Disciplines and equipment. Create as many profiles as you like and experiment with different paths through the books. Gamebooks 1 – 7 from the series are fully playable with more on the way. The gamebook series which has sold millions of copies around the world is now available on your mobile device! This app takes the adventure to the next level, allowing you to play through the gamebook without any additional accessories. 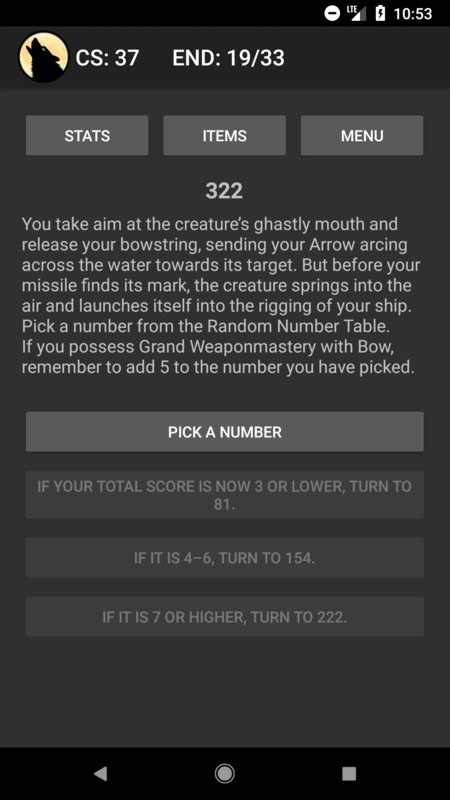 In a gamebook you shape your own adventure by choosing what your character will do next. Normally, you would need at least a pencil and paper to track your stats and equipment, but this is no longer necessary. This app takes care of everything from inventory management to random number generation, which means you can just focus on enjoying the story. Joe Dever, the creator of the bestselling Lone Wolf adventure books and novels, has most generously offered to allow some of his books to be published on the internet free-of-charge. The series ended after 28 books and 14 years, and you can now enjoy the last 8 books on your phone. This app could not have been made without Project Aon – a volunteer group of fans dedicated to publishing these works online.